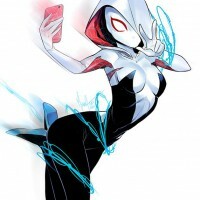 I swear to you, that this is the BEST spider woman ever made. 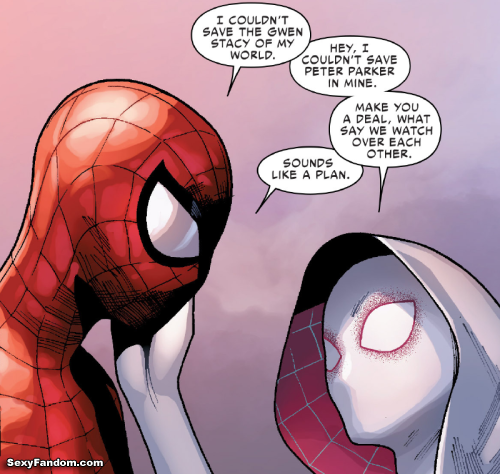 Remember when everyone keeps saying “Mary Jane is much better for Peter” or “Mary Jane and Peter Parker is the best couple”, well whatever Mary Jane, even though beautiful and really the most trending partner of Spiderman, ain’t gonna be my best choice and most favorite female character ever made in the whole Marvel series ever since Marvel released this comic about Spider Woman or much commonly known as Spider Gwen. Besides that, the cosplayer for today who is Ashlynne Dae perfectly fits the character! 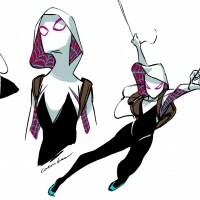 Gorgeous white blonde and short hair like the Gwen Stacy. She really looks like the Gwen Stacin the comics. Specially the costume! I really love how they made it and really fits her perfectly. I’m really out of words, here I can’t say anything besides that I love it! Guys I’ll let you judge the cosplay and I promise you, you’re time wouldn’t be wasted. And by the way, you can follow Ashlynne Dae on Facebook and Instagram, be sure to buy some of her portraits and merchandise if you have some extra money there to support her! Special thanks to Estrada and follow his twitter Photography for bringing this wonderful photos for us.